Firefox has a ton of users, and a growing proportion of them are in Europe. Since we have so many excited add-ons developers there, we held the Mozilla Add-ons Workshop in London this year. It was, all in all, a fantastic time. 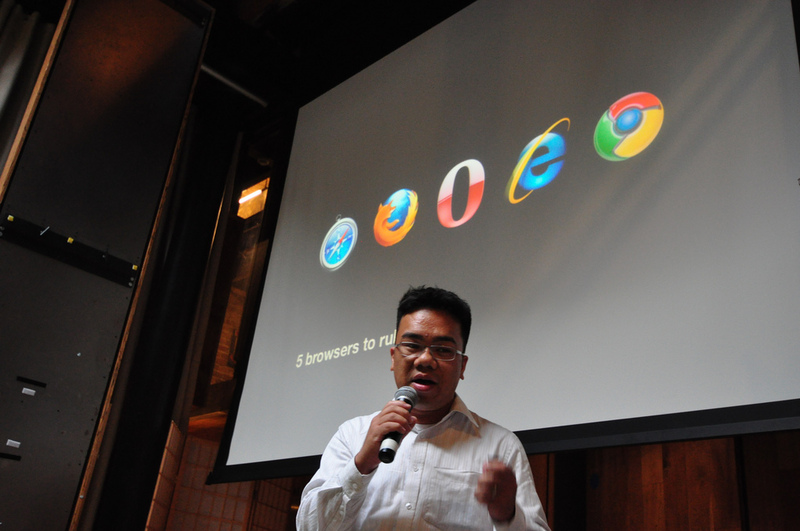 I gave a talk about Firefox Add-ons, and how our commitment to new ideas and browser customization allows us to provide a deeply personal experience for the myriad needs of hundreds of millions of internet users worldwide. Five browsers make up over 98% of worldwide usage, and it seems like a foregone conclusion that there are more than 5 different kinds of users out there.